This card stock favor box shines with a like the bride on her special day. A glitter-filled surface with a white satin ribbon pull decorates the top while making it easily portable. These favor boxes are sold in sets of 24. The boxes measure 2.15 inches in height by 2 inches in width. The boxes ship flat, but require fairly little amount of assembly and can be easily transformed. Wouldn't it be wonderful if every guest at your wedding could take a little bit of happiness as a favor? Well, the Glittery Gold Favor Box makes that wish come true--to an extent. Gift wedding guests mementos from this unforgettable event in a wedding favor box that shines like the sun. 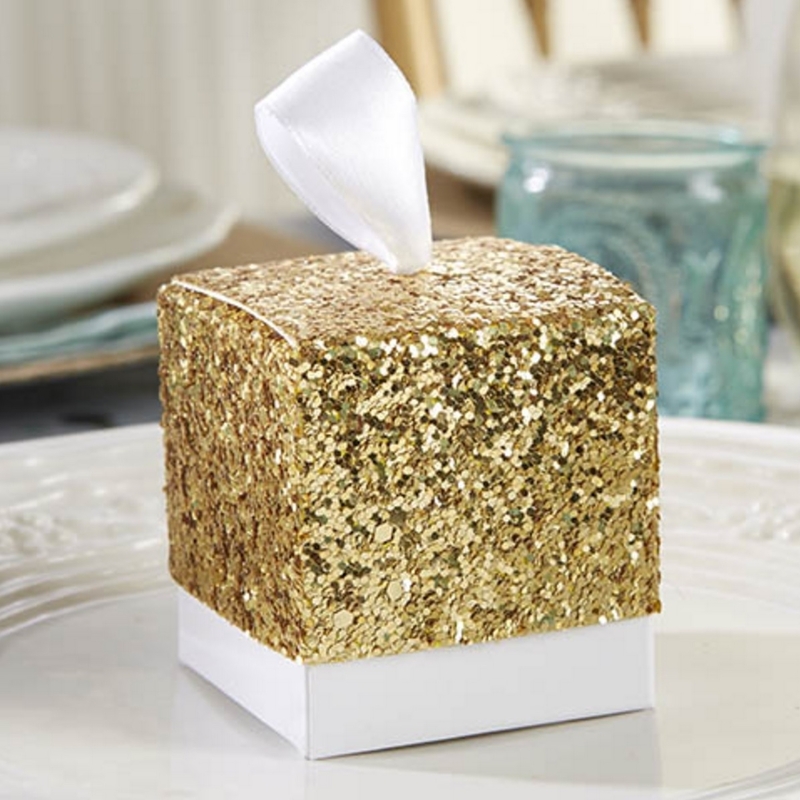 This gold-glitter topped box is a gift that won’t be easily forgotten, much like the wedding. Its simplistic design ensures effective use and easy assembly, while its aesthetics make it fit in with the wedding's theme.